Looking for essential oils for headaches? Headaches are famous for bringing us down whether a migraine, tension, cluster, sinus or otherwise. No matter what you’re doing — working, relaxing, playing, reading, studying, getting ready for bed — there is one surefire way to put a damper on it: a headache. Headaches can sneak up on us at the worst of times and give us no chance to prepare for the lingering discomfort. Before you reach for whatever pain-relieving medication you have on hand, why not give essential oils a try? With the school season quickly approaching, there’s no better time to prepare for this distracting discomfort! First and foremost, you need to decide what type of a headache you have. Is it a tension headache, where constant pressure wraps around your head? Try oils that help reduce stress and naturally ease tension away. Cluster headaches: These headaches typically include localized pain, watery eyes, and a runny nose so they benefit from oils that help reduce pain and ease congestion. Sinus headaches: Have pressure in the face or forehead? You might try oils known to help break up congestion and open up breathing. Using oils that support the immune system can help keep your body strong while fighting off the source of this headache which may be a sinus infection. Migraine headaches: Choose oils that help to reduce feelings of anxiety and help with pain relief. If your migraine is accompanied by digestive issues or nausea, certain essential oils can help with that, too. Peppermint Oil: Cool and fresh, Peppermint can help relieve the acute pain associated with headaches. 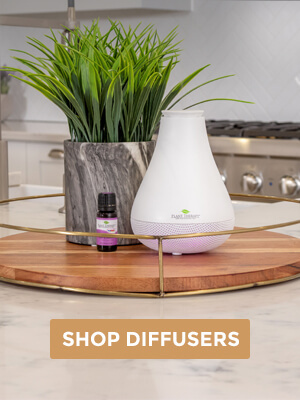 Diluting Peppermint in your favorite carrier oil and applying it topically on the temples and back of the neck has shown to relieve pain and be a well-tolerated alternative to taking the edge off of a headache [1 & 2]. Also, it is great to inhale when you have a queasy stomach, which can sometimes accompany really painful headaches. Lavender Oil: With its wide range of therapeutic properties, Lavender really is an essential part of any essential oils home first aid kit. The sedative effects are what makes this oil best if you are experiencing head and neck tension before going to bed. It is also known to reduce stress and helps relieve feelings of restlessness . Since the root cause of a headache could be factors including stress, exhaustion, and irritation, Lavender is a wonderful way to address these issues. Lavender is also a great option for children. Eucalyptus Globulus Oil: Known for its relaxing, pain-reducing effects and helping to break up mucus and other congestion issues, making this oil especially useful if you are suffering from a sinus headache. It’s also a great way to open the airways and help relieve sinus pressure . Rosemary 1,8-Cineole Oil: Stimulating and refreshing, this oil is known to improve alertness and reduce stress. It can help reduce pain, relax muscles, and improve circulation. Studies have even been found to help with drug withdrawal symptoms, including headaches . Chamomile Roman Oil: A wonderful choice for helping headache symptoms associated with stress or exhaustion. Chamomile Roman helps to relax tension in the body and is best used before bed, due to its sedative and relaxing properties . Like Lavender, Chamomile Roman is safe for children to use. 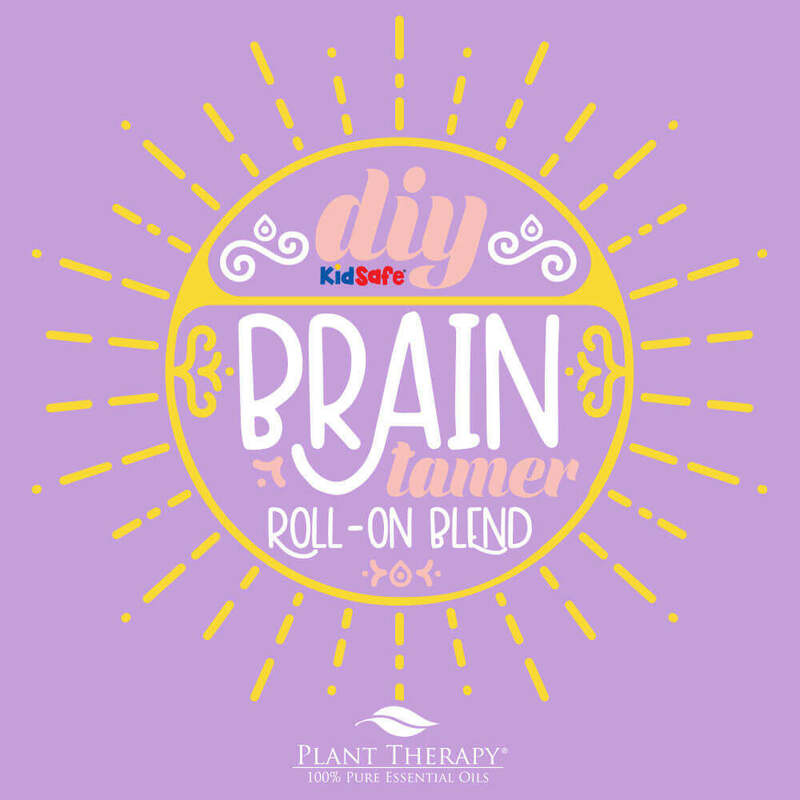 Next, try out this KidSafe DIY blend of essential oils to help calm your throbbing headache and get back on top of your game! First, add essential oils to empty roller bottle. Then fill with a carrier oil. Finally, apply to temples and back of the neck. Don’t want to blend your own essential oils for headaches? Tension Relief Synergy: Perfect to help relieve tension in the neck and head area, Tension Relief helps ease discomfort and calms your mind so you can think clearly again. Tension Tamer Synergy: Similarly, this essential oil blend helps relieve occasional head and neck tension. However, this blend is specifically formulated for children ages 2 to 10. You have the oils, now how do you use them? Keep in mind that everyone is unique and the effectiveness of essential oils can vary between individuals. Many people find success with applying the diluted oils directly to your forehead or back of the neck. Since these are sensitive areas, we recommend a maximum dilution of 1%. To maximize effectiveness, you can follow the topical application with a warm compress, used on your forehead or neck, and reapply oils as needed. Also, never underestimate the power and convenience of a personal aromatherapy inhaler! 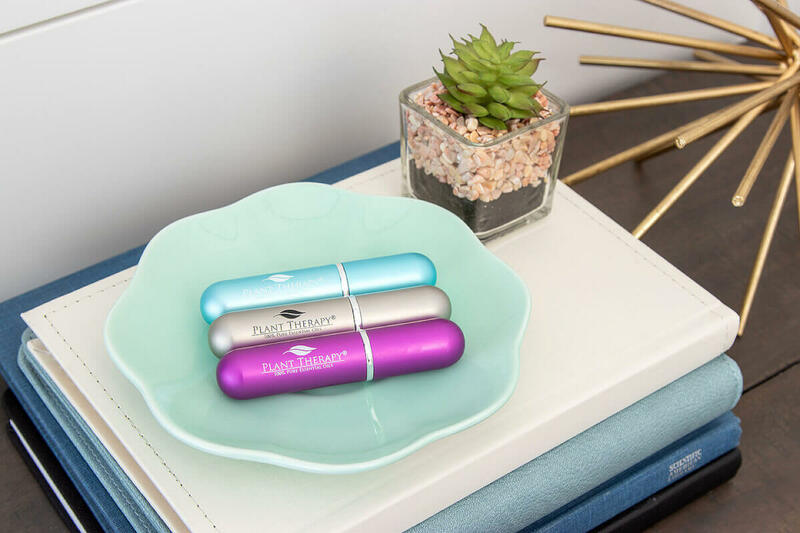 Fill it with your favorite tension-relieving oil and keep it with you wherever you go. Then you’ll always be ready when that familiar throbbing begins! Solhi, H., Salehi, B., Alimoradian, A., Pazouki, S., Taghizadeh, M., Saleh, A. M., & Kazemifar, A. M. (2013). Beneficial Effects of Rosmarinus Officinalis for Treatment of Opium Withdrawal Syndrome during Addiction Treatment Programs: A Clinical Trial. Addiction & Health, 5(3-4), 90–94. Could the rosemary and eucalyptus be substituted for the kidsafe one? Also any substitutions for peppermint to make kidsafe? Mary, for KidSafe substitutions, here are a few suggestions: Rosemary = Marjoram Sweet; Eucalyptus Globulus = Eucalyptus Dives; Peppermint = Spearmint. I hope this helps! I have recently been having headaches and came across this blogpost. Thanks for the tips, I started using tension tamer and it definitely took the edge off the pain. Awesome blog! Determining g what kind of headache/migraine first makes so much sense! Instead of just trying anything! I’m also going to have to buy tension tamer for my littles! Perfect blog for today…I’ve had a headache all day!! Need to buy some of this ASAP!! Essential oils help me so much when I’m stuck with a headache… I especially love a blend of lavender, frankincense and peppermint. Thank you for this additional info! Making the KidSafe blend asap! Thank you. Made the brain tamer. Love it. Thank you!!! 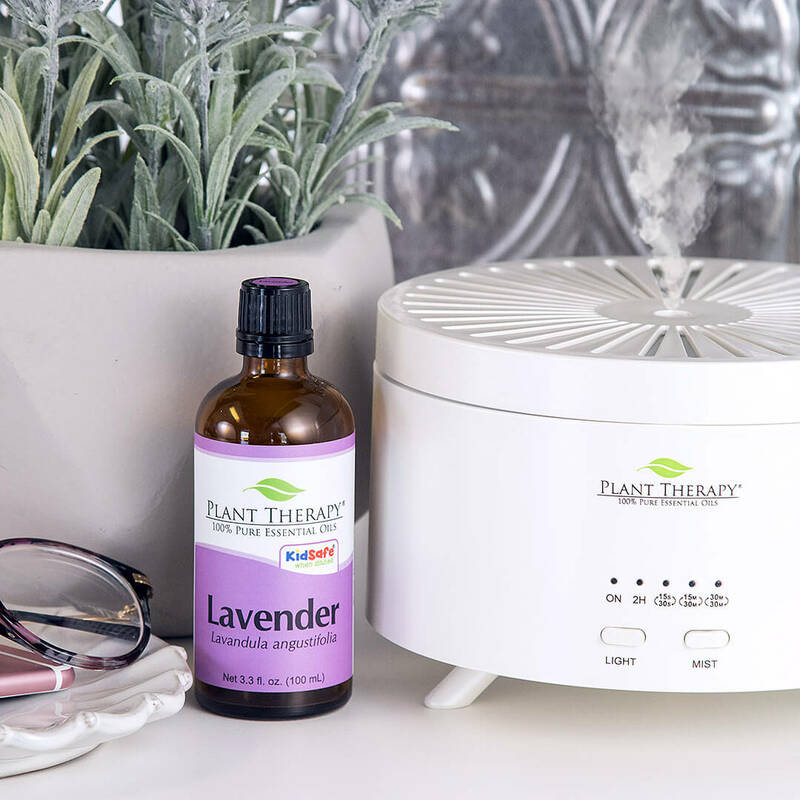 I have just started using Plant Therapy oils just in a diffuser. I do not have a roller but going to order now. 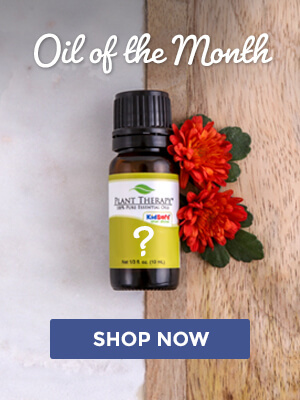 I have had a migraine for a couple of days now – is there a way to apply oils now? Tension relief for the win! I struggle with migraine headaches that stem from my neck. This blend is not only affective but also has a pleasant aroma I find particularly relaxing! I been getting headace lot. I have a question on making an inhaler with the ingredients that help migraines not the brain tamer recipe… should I leave out Roman chamomile if I am using this during the day? So use rosemary,peppermint,lavender and eucalyptus? I rub peppermint oil on the back of my neck and on the spot where the tension is, usually my temples, and my headaches quickly go away. I will definitely be trying this blend as well! Thank you for this blog post! So helpful. I’ve been getting terrible headaches lately but I’m super limited to what I can use since I nurse, I’m also pregnant and I have 3 children 5 and under. This is very helpful. I get tension and migraine headaches excited to try these. Could I make shower bombs with these blends? There are some oils you would want to be careful in the shower with. Please email a certified aromatherapist at [email protected] with the specific oils you were wanting to try and they can get back to you with more info on how to do so. I love this blog. I am new to oils, just 2 months. I suffer with headache often, so I will be making this up now. I have Grapefruit Organic, but not Grapefruit Pink. Hope it works the same. Let us know how it works for you, Joyce! Can I use Eucalyptus radiata instead of gobulus? Gobulus smells too medicinal to me. Actually what oils will you suggest for headache brought about by a day under the hot sun? I have a headache blend with peppermint, lavender and copaiba. I’m intrintere to try this blend and see how it works! It’s sounds like it would smell heavenly. We hope it works well for you, Lisa! I can’t wait to try the inhalers, and I sooo want the rose gold diffuser. This will be my first time ordering from PT. My friend recommeded PT so I am so glad she did! I love all the perks / rewards/ tips! Welcome Lori! 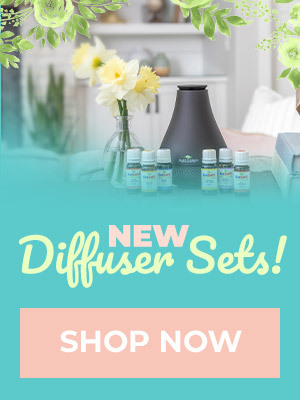 We’re so excited for you to receive your first order with us and can’t wait to hear what you think about those inhalers and Diffuser! Wow, I can’t wait to try this! As a long time sufferer of headaches I’m always looking for new ways to help ease the discomfort. We hope the information helps your headaches, Sarah! I put some tension tamer in the lavender body cream and rubbed it into my feet, back of neck, and temples, it’s very helpful! It was tension relief sorry I get those mixed up, but I bet the tamer would be nice too! That sounds amazing, Kristi! Thank you for sharing with us! Does the type of headache determine the mode of application? Or is it just personal preference? 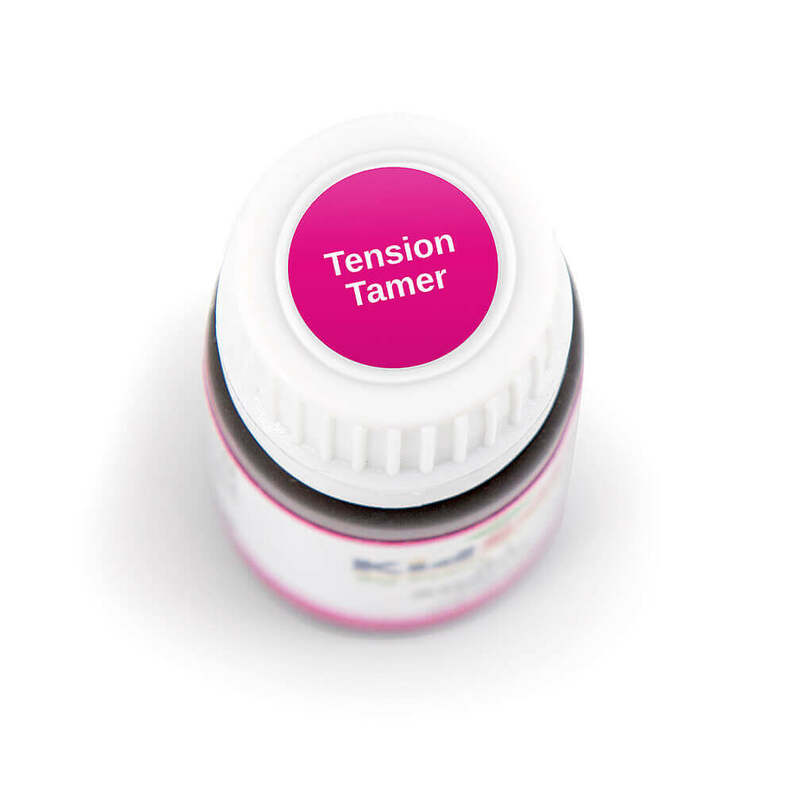 I’ve used Tension Tamer for migraines as a roll-on and it works okay. I’m wondering if an inhaler would work better. I get migraines when I’m tired and associated with my cycle. Any thoughts? I haven’t had much luck with inhalers and headaches. I personally find topical works best. It really does boil down to personal preference. You could always try it out. Could I use peppermint instead of spearmint? I would really like to try a recipe/blend using rosemary as well. Great post! Thank you for this article. I have a collection of essential oils, but am still kind of a newbie. I have not yet broken the habit of reaching for the pills. Thank you for the recipe! I will put it together and carry it with me for relief on the go! Could peppermint be subbed for spearmint in this blend? Yes, however, it would no longer be considered KidSafe. My daughter loves her Tension Tamer roll-on. She was coming home from school with a headache almost every day! Peppermint works well for me. What would be a good alternative to chamomile? The chamomile really helps make this recipe, so I don’t know that there really is an appropriate substitute in this case. Love it! My son keeps asking me for a headache oil he can use. I’ll have this one made up in about 10 minutes. Thank you for sharing, Andrea! We hope it helps your son! I am so glad I read this. Grabbing some peppermint now for my headache! That’s great — hope it helps, Bev! Thank you for sharing! This is such an appropriate post with school starting back up again soon. Thank you, Chantelle! We hope it provides people with some help! Love Tension Relief Synergy. I’ve been using it a lot this past week. Sadly mostly due to sinus headaches from all the smoke in the air. We hope you love it, Albatina! Eucalyptus Globulus and Radiata are my go to for breaking through brain fog. I keep personal inhalers of both Globulus and Radiata next to the bed and those mornings when I am considering passing on my 5am workout routine I take a quick whiff and it’s GO TIME! Another great article! Tension Relief, Rapid Relief, and Tension Tamer all work wonderfully for my intense headaches. Peppermint is my most used oil and always does the trick! Thanks PT! To me this sounds like a fresh, light, refreshing combination, a change from the usual lavender and peppermint blends I have used. I also like that it is kid safe. Planning on using this blend in a personal inhaler as well as roll on. Tension tamer is a staple in our house!! Depending on what my headache is I either go to Peppermint or Lavender. If my sinus pressure is over the top I will use peppermint and a citrus like lemon or lime. What oils are good for migraines accompanied with nausea? Can I use German chamomile in place of Roman chamomile? I only have German right now. It can help some, though Roman Chamomile would be worth investing in at some point. Is this good for anxiety? I recently discovered that apply peppermint to my temple helps ease migraines. I was amazed! I’ve used prescription strength migraine medication for years. Now I rely on it a lot less. I like to smell peppermint but drink chamomile. That’s my brainbuster-busting combo. That’s a great idea, Cam! Thank you for sharing! I’m with you 100% Cam, especially during allergy season. I could not live without my teas, chamo being in the top 5. Thank you so much for this post!! I suffer from chronic migraines- as well as headaches caused by the autoimmune disorder ME/CFS. I have headaches nearly every day- and they are different all of the time. This has to be THE BEST post that I have read on this subject! It’s short and sweet- and gets straight to the point with what oils work best for which type of headache. I’m also very thankful for the DIY recipe included – because I love to blend my own oils. That in itself is therapeutic! I have just recently re-discovered the usefulness of using EO’s for headaches. I am so happy that I am using oils now instead of reaching into the medicine cabinet. Thank you Plant Therapy for being my favorite essential oils and having the most informative website. Great oils, great info and great prices- what more could anyone want??? This is exactly the information I was looking for. I have been looking for a natural way to help with my frequent sinus headaches. We hope this information helps you out, Dawn! Thank you for your comment! The blog came right in time. Just got back from a long flight and had a bad jetlag and a headache. Thanks! So glad this came right on time for you! We hope it helped! In one part of this it says it is kid safe, but on the graphic, it says kid safe: NO. I was just wondering if it is or is not kid safe? This sounds amazing! I just got the stainless steel inhalers. I have to try this! It’s perfect for those inhalers! We hope this DIY helps with your headaches! With school starting this brain tamer blen May come in handy!!! This is a great blog post! Peppermint has been my go to for taking the edge off of the pain of a headache. I didn’t know about the 4 others. The Brain Tamer recipe is definitely going into my lovely PT journal/organizer. Thanks for the great info! This is a great post! I have used peppermint often for comfort during a headache. It takes the edge off for sure. I love all the oils in the Brain Tamer recipe! Got some inhalers during JCAM, so definitely going to try this. What a great time to post this.i have had a headache for the last 3 days. I just put eucalyptus in my defuser. I love peppermint oil for my migraine headaches. I get nausea as well with the headaches so I find that other oils blended with peppermint like ginger and sweet fennel really help. It’s great in a roller at bedtime while trying to fall asleep with a migraine headache. I sleep on my side so I can put my wrist by my face and smell the oils. Some headaches I can manage with essential oils alone, others I need to add medication. If it were just a regular headache and not a migraine I am about 95% confident that even peppermint alone may take care of it all together. I have all the oils for the Brain Tamer except for Roman Chamomile. I’m hoping to get it eventually, but in the meantime, what would be some good possible replacements? It’s pretty important to the recipe, so I’m not sure there is a suitable replacement. 🙁 You could double up on one of the other oils if you wanted to give it a try. How does the blend work on a headache that you’ve had for a bit? Does it work just as well if you put it on right away? This is a great, informative article, but what if you don’t know what type of headache it is, or think it’s a migraine but don’t really know the reason for the migraine? My teenage daughter gets headaches a lot, and I did as well in my late teens/early 20s, but I could never pinpoint a reason. 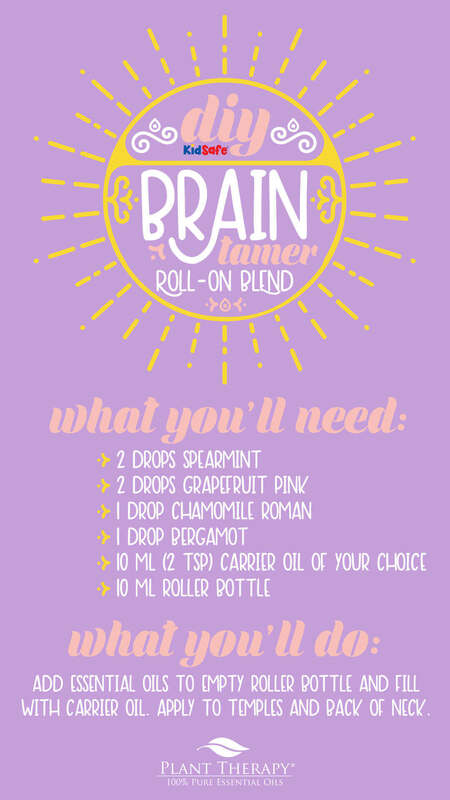 Awesome blog about how to get headache relief – I am going to make one of these pronto! We hope it helps you find some relief! Thanks for sharing, Patty!